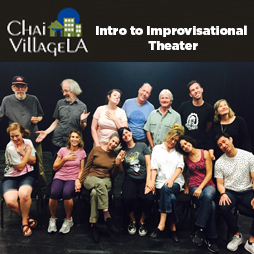 Come and learn why improvisational theater techniques are being used to help people from all walks of life. Through a series of games and exercises designed to help get us out of the head and into the present time, players will explore new ways of communication and break through creative barriers. Led by master teacher Aretha Sills (granddaughter of Viola Spolin, who was the originator of theater games, and the daughter of Paul Sills, founder of Chicago's The Second City), the workshop will include exercises created by Spolin that free our creative side and build community, all in a welcoming and playful environment. No acting or improv experience is necessary, just a willingness to play. Fun is guaranteed. Please wear comfortable clothing and shoes. Sidecoach Aretha Sills is the granddaughter of Viola Spolin. She studied theater for many years with her father, director Paul Sills (creator/director of The Second City and Story Theater), and has conducted workshops for Paul Sills' Wisconsin Theater Game Center, Bard College, Stella Adler Studio of Acting, Stockholm International School, Sarah Lawrence College, and Northwestern University. She has worked with Tony and Emmy-Award winning actors and has trained faculty from Northwestern, DePaul, Columbia College, The Second City, The Alan Alda Center for Communicating Science, LAUSD, CETA, and many other institutions and schools. She is the Associate Director of Sills/Spolin Theater Works and she director The Predicament Players.